Retired Command Sergeant Major Robert S. Rush's guide for the U.S. Army noncomissioned officer is updated and revised for 2010. Updates in the ninth edition include a revised section on leadership, new information about continuing education and training available to NCOs, and updated references to Army publications following the new system. 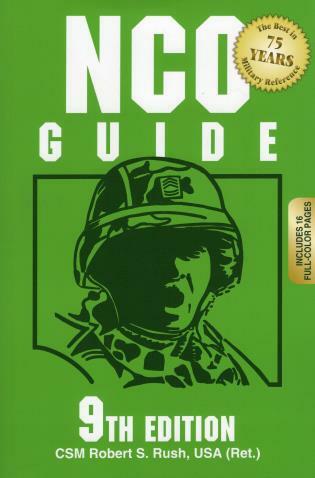 The guide is an excellent resource for an NCO, covering training, military justice, promotions, benefits, counseling soldiers, physical fitness, regulations, and other things every NCO needs to know.